unit located in Baoding City, China.Note Yingli Solar Energy which is the 2nd largest Chinese solar panel supplier is located in the same city. Juli New Energy is present in the entire solar photovoltaic value chain – crystalline silicon, silicon wafers, solar cells, PV modules, and PV systems. Note Juli does not manufacture polysilicon which is the raw material used for making the solar panels. 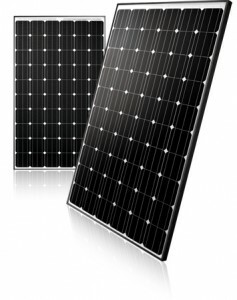 So it is not fully integrated .However most Chinese solar panel makers don’t produce polysilicon as well procuring it from Western or Chinese silicon producers like Wacker,Hemlock,GCL and others.Juli New Energy uses advanced production equipment, technology, and processes, with a strict quality control. Juli New Energy Co. has a wide sales and service network in more than 100 countries and regions. Juli beside selling solar panels is also present in the solar projects business. The company has executed a number of solar farms in Europe which range from 1 MW to 10 MW in size. The solar modules of Juli undergo a minimum of 14 inspection and detection through the module manufacturing process before and after lamination, electric performance test to ensure best in class quality. The company has certifications from most of the leading quality labs such as ISO, UL, TUV and others. Read about more solar panel reviews on greenworldinvestor to compare other solar panel brands. Juli New Energy manufactures two types of Solar panels – Monocrystalline and Polycrystalline. They are designed to withstand snow load up to 5400Pa. The Juli Solar Panels are safety class II, IEC61215, IEC61730, UL1703 certified. The Juli Solar Panels come with a product warranty of 10 years and Power warranty of 25 years warranty on 80% of the power, 18 years warranty on 85% of the power, 12 years warranty on 90% of the power. China’s Solar Industry is the biggest in the world. Due to the low cost of Chinese solar panels, the market rose from almost nil in 2005 to almost 60% in 2012. The remarkable growth in the Chinese Solar Panel Industry has been due to the supportive Government, low labor and capital costs and aggressive competition. This has made the higher cost solar panel manufactures cut their prices in order to retain their marketshare. China has a number of Tier1, Tier 2 and Tier 3 producers of solar panels. There are also a number of big State Owned (SOE) Chinese conglomerates that are entering the Solar Panel Industry. Chinese Solar Panels are super cheap. The cheapest global solar panel brands are all Chinese. A standard Chinese Solar Panel wholesale price is around $210 for a 300 watt panel. The current costs of Juli Solar Panels ranges between 60~70 cents per watt. However retail prices are higher due to distribution and logistics cost which means you would be paying around $1-1.20/watt. I am looking for a benchmark review in which Juli Solar’s panels are qualitatively/proceswise compared to other big brands. Do you hapen to know if such is available and if so, how it can be aquired?